Electric razors offer quite a few benefits, with convenience, comfort and even cost savings being among the most compelling ones. A wet dry electric razor can further improve aspects and make things that much easier for us. Moreover, you can use them with your favorite shaving cream or even in the shower, leading to a closer and more enjoyable shave. In this article I’ll go over all the important bits regarding wet dry electric shavers and also share my recommendations of some of the best you can currently buy. Why should you buy a wet dry electric razor? 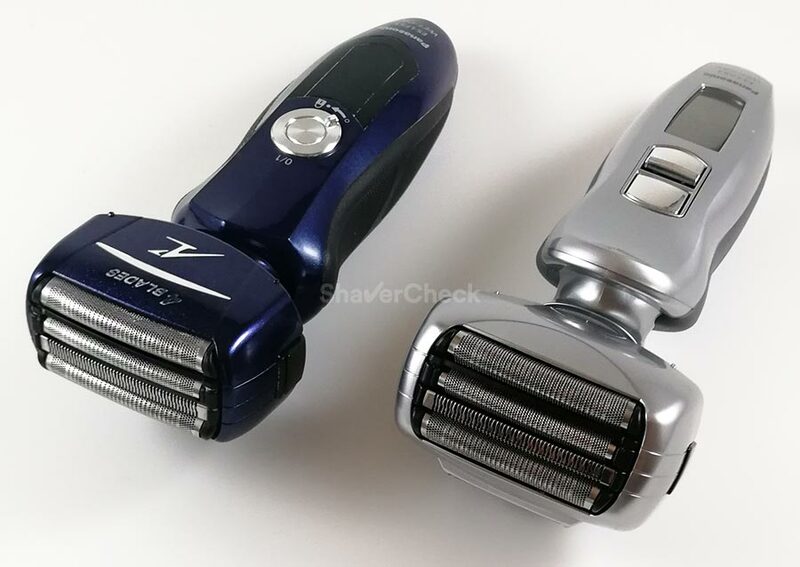 What are some of the best wet dry electric razors? There seems to be quite a bit of confusion regarding the different degrees of waterproofing and what they actually mean when it comes to electric razors. The ones that are only waterproof to the extent that you can safely rinse the shaving head under tap water. These are usually only suitable for dry shaving, so using them for shaving in the shower or with a cream or gel is not an option. Most modern shavers can be rinsed with water, even though they are not completely waterproof. Always read the instructions manual before using water for cleaning an electric razor. The ones that can be safely used in the shower or with a shaving cream. These wet dry electric razors are sealed and fitted with additional gaskets to keep moisture, steam and water from entering the razor and damaging the internals. This type of shavers are explicitly marketed as suitable for wet & dry operation. For obvious safety reasons, they cannot be used while plugged in. In this article we will focus entirely on this second category. I cannot stress enough that you should only use an electric razor for its intended purpose, always in accordance with the manufacturer’s recommendations. The black & grey Braun Series 3 3050 in the foreground can only be rinsed with water and is not suitable for wet & dry shaving. Even though it looks the same, the Series 3 3040s in the background is IPX7 certified and fully waterproof. An electric razor that wasn’t designed to be used for wet & dry shaving can be easily damaged and also poses a risk for your own safety. You can use it with a shaving cream or gel. I am personally a big proponent of wet electric shaving, so a wet dry, waterproof electric razor is a must have for me. The addition of a quality shaving cream can significantly improve the closeness and the comfort of the shave. This obviously implies the use of a suitable electric razor that was designed specifically for wet & dry operation. You can use it for shaving in the shower. While I’m not a fan of it, you can safely use a wet dry razor in the shower. A Braun Series 3 3040s for example is IPX7 certified, meaning it can be submerged in water up to 5 meters without any issues. Peace of mind. Knowing that your razor can be safely washed and used in environments with high humidity is reassuring. Also, accidents do happen and if you drop it in your water filled sink or bath tub it should be just fine (assuming that it won’t be damaged by the mechanical shock). Now that we know what a wet dry electric razor actually implies, let’s see what are some of the best and how to find one that would suit you. The ES-LV65-S Arc 5 from Panasonic is in my opinion the best wet dry electric razor in terms of performance, comfort and even costs. Moreover, I found Panasonic razors to perform the best out of all major manufacturers when used with shaving cream or gel. if you decide to get one that includes a cleaning station, there are no restrictions on how you use it (more details on that later on). 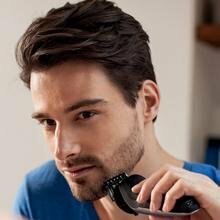 The Arc 5 is Panasonic’s line of premium electric shavers, featuring 5 individual cutting elements, powerful linear motors and extremely sharp blades. The result is an outstanding shaving performance, particularly when used along with a quality shaving cream. There are many Arc 5 variations available for purchase, but my personal pick would be the Panasonic ES-LV65-S as it’s the best in terms of performance and costs. There’s a general consensus in the electric shaving community that Panasonic has the edge over all other manufacturers when it comes strictly to the closeness of the shave and I fully agree. However, that closeness comes with a small trade-off in comfort as Panasonics can be a bit aggressive if you have very sensitive skin. The most effective way to get around this is to throw in a quality shaving cream and enjoy the best of both worlds: a comfortable and irritation free shave that’s also incredibly close. 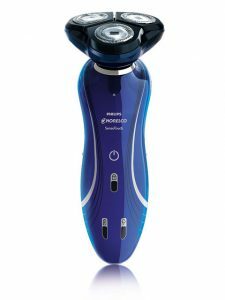 I think the Panasonic ES-LV65-S is one of the best choices out there if you intend to shave wet, delivering a very close and comfortable shave. 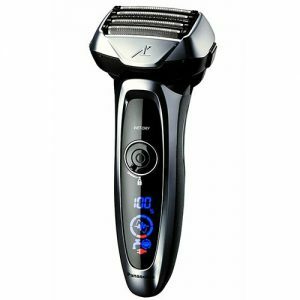 And the price is also right for a shaver that’s right up there with the best from Braun and Philips Norelco in terms of performance. The ES-LV65-S doesn’t include a cleaning station, but you really don’t need one as cleaning it manually is a breeze. All it takes is a bit of liquid soap and rinsing under hot tap water and you’re all set. Panasonic also included a sonic cleaning mode that makes the blades vibrate extremely fast, dislodging any stubborn dirt. 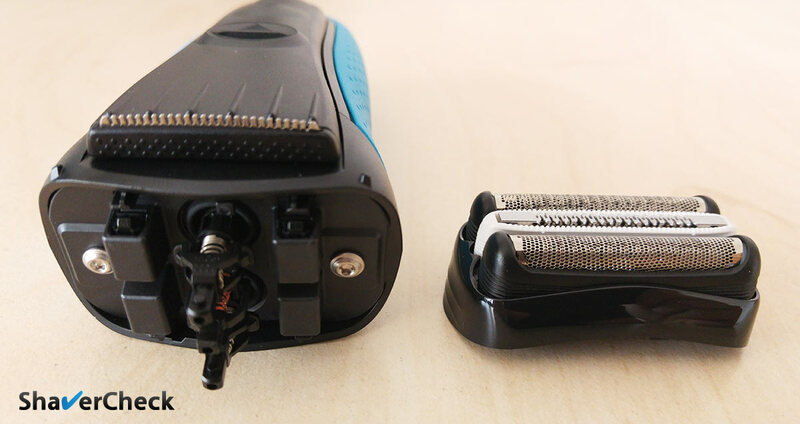 The design of shaving head assembly, with the inner blades separated from the foils, makes cleaning a whole lot easier compared to Braun for example that uses a cassette and offers limited access. If however you still want an automatic cleaning station, you can get it with the Panasonic ES-LV95-S Arc 5 which is an identical shaver. One of the benefits of Panasonic’s stations is that you don’t need to clean the shaver from foam and dry it before tossing it into the station. Yes, you are required to do that with Braun’s stations, which is a big bummer in my opinion. With its massive 5 blade shaving head, the ES-LV65-S can be overkill in several situations, like shaving daily or if you have a lighter beard. If that’s the case, check out the next options below. The ES-LA63-S from the excellent and underrated Arc 4 line is another fantastic option for wet/dry use. Fitted with the same punchy 14 000 CPM (cycles per minute) linear motor as the Arc 5 above, the ES-LA63-S offers similar performance for even less money. Even though it has one less blade, 4 are still plenty enough and the ES-LA63-S will be an ideal choice for most men looking for a high quality, but still reasonably priced wet dry razor. 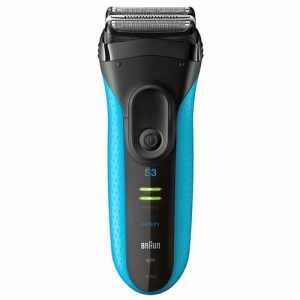 In fact, I would go as far as saying that it is the closest shaving electric razor in this price range, out-performed only by the more expensive Arc 5 models. Also, being an older model, it is very likely for the price to go down even more, making the deal even more attractive. 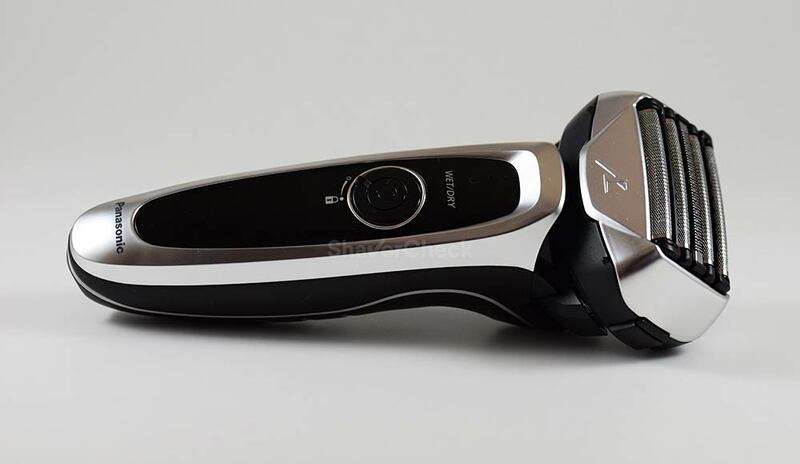 A unique feature of the ES-LA63-S Arc4 is a second motor located in the actual shaving head that vibrates and helps catching stray hairs that lie flat to the skin. I was skeptical at first, but it does seem to make a small difference compared to my other Arc 4 shaver, the ES-LF51-A that lacks this feature. Panasonic ES-LF51-A (left) vs Panasonic ES-LA63-S (right). The wet shaving performance of this razor is top notch. It shaves extremely close, fast and it remains perfectly comfortable even you have sensitive skin. In order to keep the price low, the ES-LA63-S doesn’t come with an automated cleaning station, but just like any other Panasonic razor it is very easy to clean. Again, if the cleaning station is a must have, you can get it in the form of the Panasonic Arc 4 ES-LA93-K. Apart from the black color treatment, the shaver itself is identical. I personally wouldn’t bother with that, but it’s up to you if it’s worth the extra money. The Panasonic ES-LA63-S is the razor I probably use the most in my rotation and it’s also the one I recommend the most. It’s a fantastic performer and you won’t have to break the bank if you decide to get one. For more details you can check out my in-depth review of it here. As far as wet dry rotary razors go, the Philips Norelco 8900 from the Series 8000 line is one that ticks pretty much all the boxes. 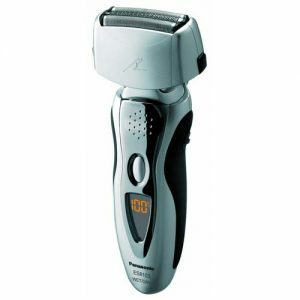 But what makes this particular shaver a very solid option is the performance and cost ratio. More precisely, you’ll get a razor that is very similar performance-wise with the much more expensive models from Norelco’s Series 9000 line, but costs significantly less. They even use the same cutters (SH90 replacement heads). 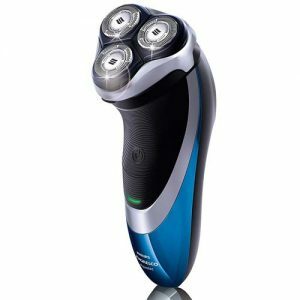 As its name suggests, the 8900 is a wet & dry electric razor that works great with a shaving cream or when used in the shower. 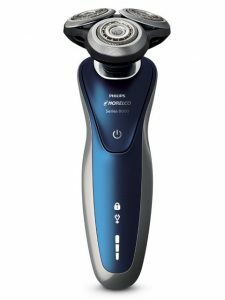 With three cutting heads that flex in 8 directions and maintain constant contact with the skin, the Norelco 8900 offers very close and comfortable shaves. 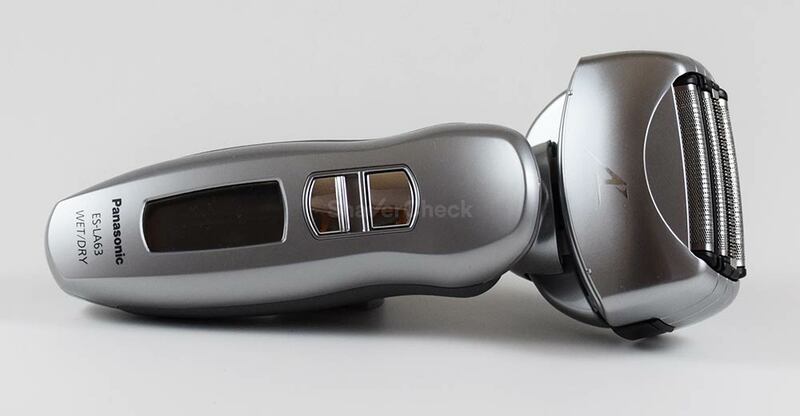 Another great feature is the click-on beard trimmer; unlike most pop-up trimmers that come with electric shavers and are only good for minor touch-ups, this one is an almost full-fledged trimmer that can be successfully used to trim your beard. It can be very useful for those times when you haven’t shaved for a longer time and you need to trim your beard to a more manageable length before the actual shave. Lastly, the Norelco 8900 is also available with a cleaning station for not a whole lot more. The options presented previously are definitely very capable, but some of them can be pricey for someone on a tight budget. Luckily, there are a few excellent affordable wet & dry shavers. 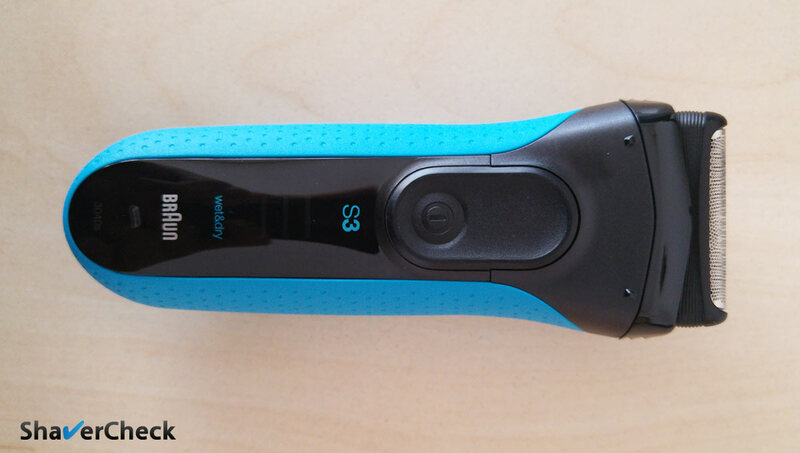 The Arc 3 is Panasonic’s entry line of electric razors. With 3 cutting elements, powerful motors and sharp blades, they still pack quite a punch. And what matters most, they are waterproof and suitable for wet & dry use. So which one should you choose? To be perfectly honest, it doesn’t really matter as all of them are very similar in terms of performance, at least the models in the older Arc 3 line. Just make sure to pick one that is fitted with a 13 000 CPM motor, like the ES8103S or the ES-LT41-K. The new Arc 3 razors are better, but at this moment they are also quite expensive. My advice would be to simply buy the more affordable models, like the ones mentioned above. 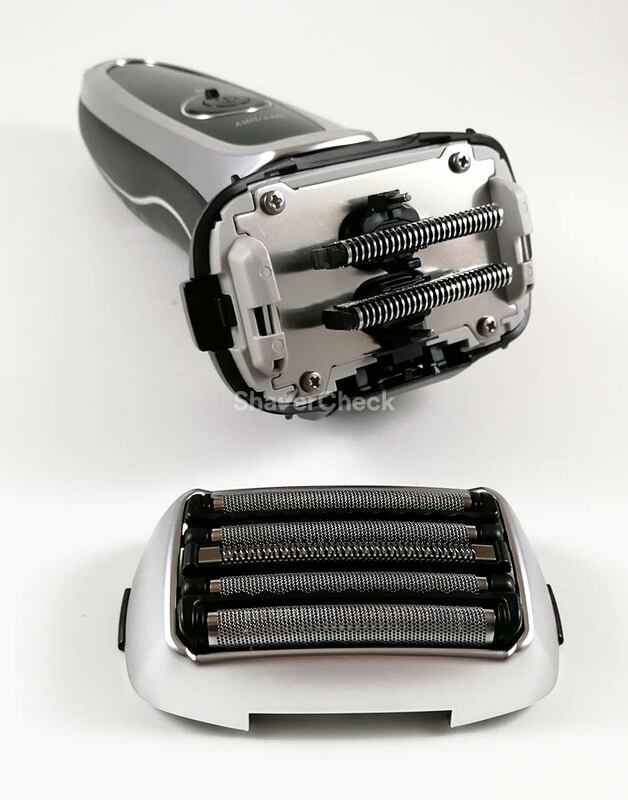 This has got to be one of the most cost effective wet dry electric razors you can buy today. With a low purchase price and inexpensive replacement parts, the Braun Series 3 3040s represents a very attractive budget friendly option. This razor is also is IPX7 certified, so waterproofing is taken care of. The 3040s works great for wet shaving and yields the best results when used daily. It’s also very comfortable and suitable for men with sensitive skin. The generous rubber inserts provide a secure grip, while the light weight of the razor makes it extremely easy to use. Since it uses a basic shaving head, it’s also easier to clean compared to Braun’s more advanced electric shavers, like the Series 7 or 9. You can read our in-depth review of the Series 3 3040s here. If you prefer rotary razors, the 6100 from Philips Norelco is a solid option. The reasonable price, wet & dry operation and the three cutting heads that can pivot and tilt inward are some of this shaver’s highlights. The RQ11 shaving heads that this razor uses are fitted with slots and holes for cutting both long and short stubble. Like all budget shavers, the 6100 provides the best results when used daily or every other day. A detailed review of the Norelco 6100 can be found here. On of the best choices in the affordable segment of rotary shavers is the Philips Norelco 4100, formerly PowerTouch with Aquatec 810. The Aquatec seal means that you can use the razor in the shower or with shaving cream. The 4100 is a basic, but capable rotary razor that’s also easy on you wallet. While I wouldn’t say that it excels in any particular area, the 4100 will be suitable for everyday use, providing adequately close and comfortable shaves. Cleaning a rotary shaver is easy for the most part, but it can be tedious when you have to perform a thorough cleaning that implies taking apart the shaving unit, cleaning each individual comb and blade, then putting them back together in the exact same position (the combs and blades are matching pairs). If you don’t expect a whole lot from it, I think you will be pretty satisfied with this shaver’s performance, particularly when used for a wet shave. The 4500 will be a perfectly good choice for beginners as well. 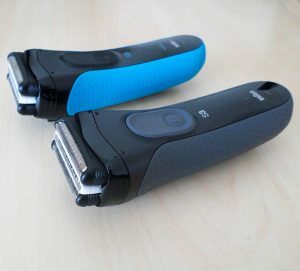 However, if you plan on shaving less often and are particularly concerned with getting a close and fast shave, you’ll have to spend a lot more on other more advanced rotary razors like the 8900 or the 9300. Let’s see how you can make the most out of your wet dry shaver, prolong its life and improve your shaving experience. 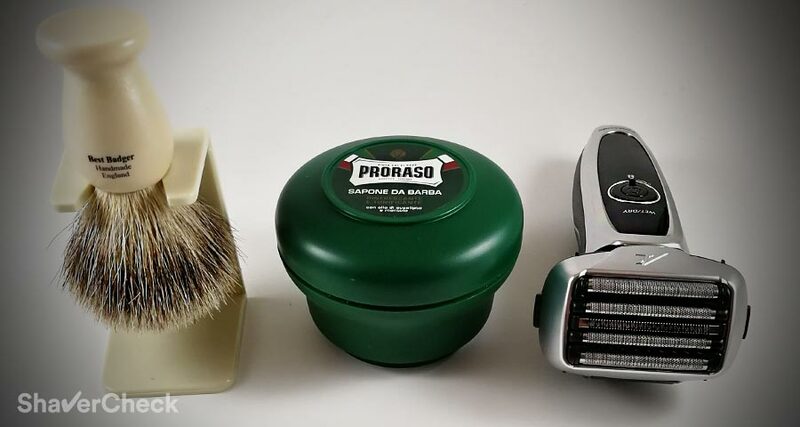 Develop an efficient pre electric shave routine specifically tailored for wet shaving. This includes washing your face with a mild cleanse, using plenty of warm water, exfoliating your skin, taking a hot shower beforehand and so on. You can read more here. Use a quality shaving cream. A good shaving cream can vastly improve the closeness and the comfort of your shave. Make sure to check out our comprehensive guide on finding the best shaving cream. Use lather sparingly and allow it a few minutes to act on the hair. The outer layer of the hair, called the cuticle, is a very tough lining that can only be soften by the alkaline components found in the shaving cream. So don’t start shaving right away and allow it a few minutes to act on the hairs. Thoroughly clean your razor. Dried lather buildups on the blades and foils will negatively impact the performance of your razor. Make sure you do a proper cleaning after every use. Lubricate your razor. Using liquid soap and water for cleaning also strips off the blades of any form of lubrication. Therefore, make sure to apply a drop of lubricant on the blades and foils. Here is how to do it. Allow the razor to fully dry before storing it. A wet dry electric razor is likely to get wet, so after using and cleaning it, pat it dry with a cloth and let it air dry before putting the shaving head back together. Only after that you should store it in a cabinet. As always, a very informative and well drafted article. I bought a Braun 3040 wet and dry shaver about 5-6 weeks back. The decision was largely based on the recommendations and knowledge gained from your website and my budget constraints. I am making a transition from traditional wet shaving using DE blades. I have a Feather razor – the model I have is less aggressive than other brands/models of DE razors. But their blades are very very sharp. I therefore settled for 7 O’clock DEs instead. Despite using DEs and careful preshave routines, razor burn has continued to be a problem. Just the thought of wearing a shirt and tie after a shave was debilitating. Until I chanced upon your website. So thanks a lot!! I use the Braun 3040 for wet shaving. I haven’t tried dry shaving yet. I’ve used it with Gillette foam, gel and also with regular Nivea/Dettol shaving creams. One very interesting idea I got online (here or somewhere else?) was to use my hands instead of a brush, when using cream. The trick is to create a weak and wet lather with shaving cream and then apply/massage it onto the face, with palms itself. It appears to be quiet an effective option for wet shaving. But rather messy!! I guess the most important part, irrespective of using foam/gel/cream, (you also mention in your article) is to create a sparse lather on the face. I suppose, thick lathers will impede the small, high speed blades of an electric shaver from working effectively. I have few lingering doubts, and would request your opinion. Firstly, does wet electric shaving give better closeness than dry shaving? Secondly, does wet electric shaving cause lesser irritation than dry shaving? Lastly, will wet shaving with a foam/gel/cream reduce the life of the blades and require an earlier change, as compared to dry shaving? Thank you for your comment and for being a reader of this website, I really appreciate it. I actually wrote in this article about using your hands instead of a brush to work a very thin layer of lather into the stubble — in my experience it works a lot better than a thick layer of cushiony, rich lather. Regarding your questions, I would say that using a quality shaving cream with an electric razor will yield better results in most cases — that is a closer shave and with less irritation. How big of a difference it will make compared to a dry shave really varies from one person to another. Your shaving technique and the shaver itself matter as well. I would however recommend you to avoid canned foam/gel; they’re just not as good a cream that comes in a tube. Nivea, Speick and Proraso are just a few examples of very cheap, but fantastic performers. The use of shaving cream shouldn’t reduce the lifespan of the blades. As long as you clean your shaver after every use and lubricate it regularly, it’s all good.